November at SASS Studio – Welcome! Wow! I need to get busy with my blog & post more often! I just moved my website to a new service & am hoping it is so much easier to navigate their system. So far so good! 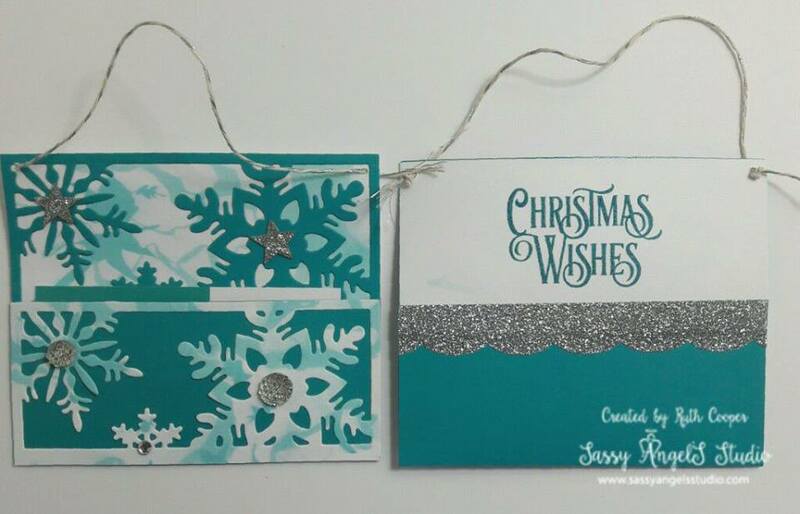 The holidays are fast approaching & there are only a couple of classes left at the SASS Studio for this year. 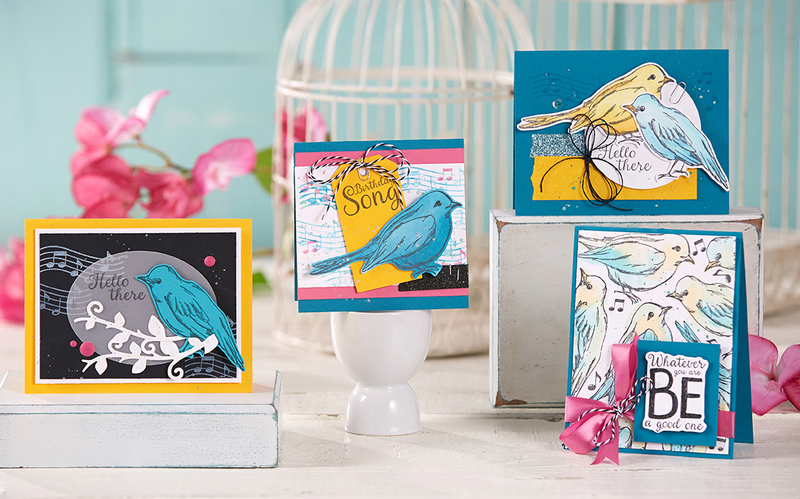 November brings the Birdsong Bloom Box Class for $5 on the 16th. This is another set that is predicted to sell out. These birdies are fabulous! I often add a re-design to the cards so they may look a wee bit different from the actual cards below. Remember you have options now for the Bloom Box. You can get a 6 month subscription for $24.95 + s & h Kit #KO-0002 or you can purchase just the boxes you want for $29.95 + s & h Kit #KO-0003. On Nov. 20th will be a Frames class featuring the Ornamental & Snow Frames from the Journey Holidays catalog. Cost is $7 & will feature 5 projects including this gift card holder I designed & did a Facebook live video on. This month’s sales special is Pockets & Lockets, perfect for gift giving. We have a beautiful jewelry collection in the catalog that you can wear as is or add your own creative spin on. Plus there are 2 exclusive kits perfect for holiday gifting. I love our jewelry because I have metal allergies & I can wear this jewelry! It is rhodium plated so no allergy issues for me. I have spent years buying cheap earrings & transferring them to hypoallergenic wires so I can wear a bit of sparkle. With the Bloom Collection, I can now wear necklaces & bracelets too. And with our pocket sale, you can create beautiful packaging for your holiday gift giving. Speaking of holiday gift giving, our planner kits are still available this month & there will be Black Friday/Cyber Monday specials! Finally to round out November, the Big Deal promotion is still going on too. It’s the perfect time to join the Journey for just $25 & I would love to have you join the Sassy AngelS Stampers as a team member. I am a wee bit busy this month but will do my best to find the time to get in a few more blog posts. So I am challenging myself to a post a week for November. I am still learning to coordinate all my media areas. You can always check out my FB Business Page too. Stay tuned for more inspiration! Take some time to be creative this weekend!